Do you have an investment strategy? Most of us at least have a savings account at minimum and many have a 401K from work or an IRA or mutual finds, all of which have been volatile at best this last year. 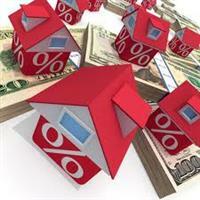 Have you ever considered adding real estate to your investment portfolio? You might argue that real estate has not exactly been stable in the last year either but consider this… the right piece of real estate can pay you dividends whether the actual market goes up or down. Lets say you bought a rental property two years ago valued at $100,000, you put down 20% and borrowed $80,000. your payment in full principle interest, taxes and insurable equals $8,000/month (probably less with today’s interest rates) and you rent the house for $1,000 a month. 12% return on investment beats most anything out there today and that is not ever taking into consideration the tax deduction on the tax, insurance, and interest on the property. I have suggested buying a rental property when your 1st child is born and put it on a 15 year loan. Let someone else (a tenant) pay your debt (your loan payment) and at the end of 15 tears, just before your child goes to college, your home is paid for. You can either continue to receive most payments every month or sell the property and receive the appreciation. Either way you help pay for your child’s college. Isn’t it time to consider adding real estate to your investment strategy?